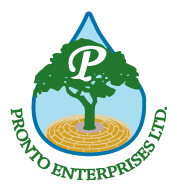 To schedule a landscape design consultation, call the team with over 30 years of experience at Pronto Enterprises in Kamloops. We are a family company that provides residential and commercial clients with professional landscaping services, including outdoor lighting, hydroseeding, retaining walls, irrigation and landscape maintenance. Established in 1985, we've established a strong reputation within our community through our professional work and our volunteer work with local sports teams and the Juvenile Diabetes Research Foundation. Call our team for more information on any of our services. You can also use the form on this page to send us an email—we'll get back to you as soon as possible. Our office is located near Metro Homes.